I first met Robert Lee at an end-of-summer barbecue. The air was warm and crisp as our hamburgers cooked. Smoke rose from the grill as well as from Lee’s e-cigarette, a pocket-size tank system that doesn’t really look like a cigarette but is equally satisfying. 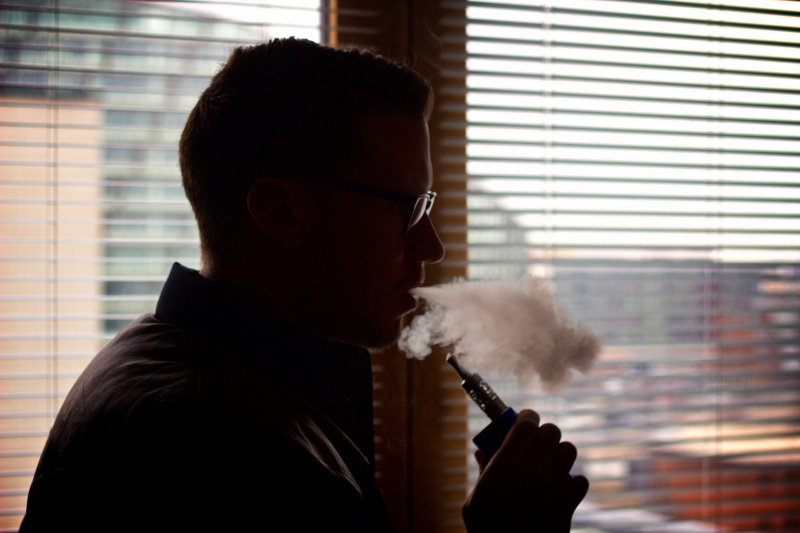 “The satisfaction [I get from e-cigarettes] is about 80 percent as good as real cigarettes. It’s good enough for me,” said Lee, a graphic designer in Queens, New York, as we talked again on the phone in November. Once a heavy smoker for over a decade, smoking up to two packs a day, Lee always wanted to quit the dangerous habit but found himself failing when he quit cold turkey or tried nicotine patches. Two years ago, he picked up e-cigarettes and they worked for him. “I didn’t have the sense of being naked and lost,” the way he did when he tried other ways to quit, Lee says. He’s been cigarette-free for a year now. But Lee’s experience isn’t necessarily typical. “A lot of heavy smokers we see don’t find e-cigarettes as helpful as sometimes you might hear on the internet,” says Dr. Michael Steinberg, director of the Rutgers Tobacco Dependence Program in New Brunswick, New Jersey. E-cigarette proponents point out a quitting rate as high as 70 percent, according to an online survey. Yet Dr. Steinberg is cautious about his observations and admits that he’s probably seeing a skewed sample of people who came to him just because they found e-cigarettes unhelpful. So what do other experts say? Top health agencies in the UK and the U.S. — two major e-cigarette markets — have vastly different attitudes toward vaping. In the UK, Public Health England and the Royal College of Physicians recommend smokers switch from conventional cigarettes to e-cigarettes. On the other hand, in the U.S., the Centers for Disease Control and Prevention and the American Lung Association highlight the potential harms of e-cigarettes. In December 2016, U.S. Surgeon General Dr. Vivek H. Murthy warned parents about the risks of e-cigarettes for their kids. “There is a general consensus [among these American organizations] that e-cigarettes are much more likely to be problems than they are to be helpful,” says Joe Gitchell, a health consultant who has worked in the field of tobacco and nicotine policy for over two decades. Gitchell discloses that he currently works for an agency that represents Reynolds American’s noncombustible cigarettes. Reynolds American also makes traditional cigarettes. “These [organizations in the UK and the U.S.] are both professional expert organizations, looking at essentially the same available evidence and reaching very different conclusions,” says Gitchell. What he is suggesting is that different “worldviews” or existing biases are influencing how these organizations interpret the same evidence. Affected by the biases, they would pay attention to things that confirm what they believe already, coming up with totally different stories from the same data. So what do you need to know about e-cigarettes? How solid are the conclusions? Let’s start with the most important question. Question #1: Can e-cigarettes help people quit smoking? A 2016 Cochrane Library review provided the strongest evidence suggesting e-cigarettes help people quit smoking. Cochrane Library pools data from relevant studies to systematically analyze health interventions in an unbiased way. The review based its conclusion on two randomized controlled trials, in which researchers randomly assigned participants into groups that were the same except for the treatments they received: e-cigarettes containing nicotine or those without nicotine. “We found that e-cigarettes [with nicotine] did help people quit smoking,” says Jamie Hartmann-Boyce, the main author of the review, who is a doctoral candidate of primary care health sciences at the University of Oxford. In one clinical trial the authors analyzed, 21 people were able to quit in the e-cigarette group consisting of 289 participants and among the 73 who used the nicotine-free e-cigarettes only four were able to quit. In another clinical trial, 22 out of 200 quit with e-cigarettes, compared to four out of 100 in the control group. But Stanton Glantz, a doctor at the University of California, San Francisco, disagrees. He says that although such clinical trials are the gold standards for health interventions, they are not relevant for testing things like e-cigarettes. In the real world, unlike performing health interventions or testing them in clinical trials with strict controls, people usually don’t need a prescription to buy e-cigarettes, and they have no physicians’ supervision either, says Glantz. Instead of randomized controlled trials, Glantz emphasizes observation-based studies in his Lancet review article. “Smokers who use e-cigarettes are about 30 percent less likely to quit smoking than smokers who don’t use e-cigarettes,” says Glantz. However, many criticized the methodologies used in Glantz’s review. For example, according to the critiques, the studies he looked at could not control for potential factors that might influence the results, such as levels of dependence in the selected participants, while a randomized study can best solve that problem. “I respect him for his work,” on being suspicious of the historically “cunning, conniving and downright evil” tobacco industry, says Chris Bullen, a professor of public health at the University of Auckland in New Zealand. “But on this review, I think his methodology is flawed, and therefore I think the conclusion that he reaches is equally flawed.” Bullen is funded by the Health Research Council of New Zealand. In the future, the Cochrane team would like to review more well-conducted clinical trials, and at least 15 are ongoing now, Hartmann-Boyce says. She recommends researchers use the best available e-cigarette models in terms of nicotine delivery capacity and compare e-cigarettes to current nicotine replacement therapies. Question #2: Are e-cigarettes as safe as they seem to be? However, when vaping one also inhales things like ultra-fine particles and heavy metals, Glantz warns. So e-cigarettes could also cause heart and lung diseases — although less likely to cause cancer. Flavoring is another issue of e-cigarettes, and it is thought to attract young people into vaping. The flavor names could give a hint: Tutti Frutti, Raspberry Mocha and Grandma’s Dutch Apple Pie. The chemicals that create these flavors may be harmful, and there’s evidence for workers. According to Glantz, factory workers manufacturing certain flavors have to wear respirators because inhaling the surrounding fumes can be quite dangerous. One of the harmful substances is diacetyl, a chemical that can obstruct the smallest airways in lungs in humans. In a study by Harvard researchers, they found diacetyl in more than 75 percent of e-cigarettes they tested. Researchers still need more time to understand the long-term effects of vaping. Because e-cigarettes haven’t been around for that many years, says Bullen. But he agrees that e-cigarettes are not harmless and that ideally no one would use nicotine and inhalable products. Question #3: Are e-cigarettes creating young smokers? As e-cigarettes are widely available now — its global market expected to reach nearly $16 billion by 2019 — more young people are experimenting with vaping. Some worry that e-cigarettes could serve as a gateway for young adults to become regular vapers — or even worse, smokers. “Seven high-quality longitudinal studies consistently show kids who initiated [nicotine] use with e-cigarettes are about three or four times more likely to be smoking a year later,” says Glantz about the gateway question. Longitudinal studies are studies that follow and observe the same participants over a period of time. Among the studies Glantz refers to, two studies appeared in Tobacco Control, one in JAMA Pediatrics, one in Swiss Med Weekly and one in JAMA. But there are several misunderstandings about these studies, says Peter Hajek, professor of clinical psychology at the Queen Mary University of London, who does research about the safety and effects of e-cigarettes. 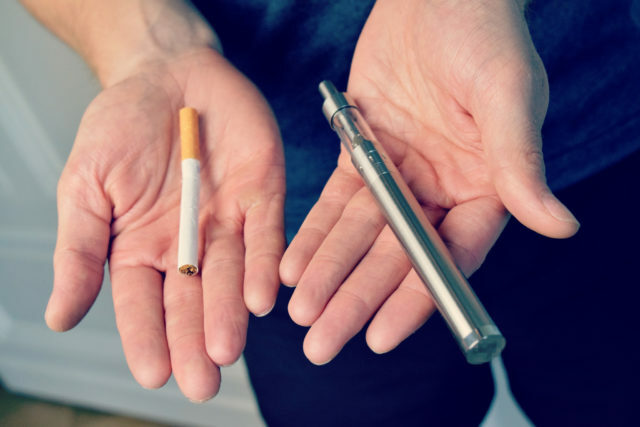 First, most adolescent nonsmokers who try vaping e-cigarettes do not become regular users, based on studies reviewed in the Nicotine Without Smoke report by Royal College of Physicians. So it’s not even a gateway to vaping, let alone to smoking, according to Hajek. Second, experimentation is often misreported as current use. “Every study of young vapers, if you read it carefully,” says Hajek, “you’ll realize what is called ‘current e-cigarette use’ means using once in the past 30 days [and never touching it again].” Hajek says that this misreporting creates the impression that there is an epidemic of young people who were nonsmokers who are now vaping. 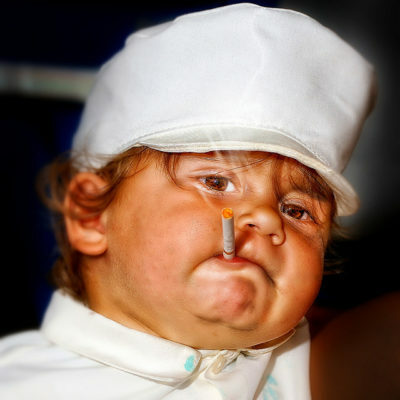 “[T]he point Glantz ignores is that at the population level, if he were right, [the] smoking rate in young people should have gone up or at least the decline should have slowed down. And it hasn’t. It’s actually declining faster. So he can’t be right at the population level. The data is just inconsistent with it,” West says. West’s view aligns with the Public Health England review, “There is no evidence so far that e-cigarettes are acting as a route into smoking for children or nonsmokers,” the review states. In May 2016, the Food and Drug Administration announced its regulation policy on e-cigarettes. The policy bans sales to those under 18 and requires manufacturers to disclose the ingredients in their e-cigarette products, especially nicotine levels. “If the e-cigarettes can deliver [proper amounts of] nicotine, then it could be theoretically used as a substitute for smokers,” says Steinberg. Until FDA regulation is in place, nobody knows the exact amount of nicotine in an e-cigarette liquid, which makes its effect uncertain. Wow… talk about coming out of the gate wrong to start with. There is nothing burning in an e-cigarette, therefore there was no smoke. Additionally, Glantz is NOT a medical doctor. His PhD is in engineering, and it is well known that he gets a lot of his funding from pharmaceutical companies. Kind of a failure of a comparison, but when you look at the underlying funding that Glantz gets, it shows you who the real enemy is. I know who I will believe. As an individual using an e-cigarette, I find it useful and significant. I’ve been nicotine-free now since I started vaping and the result is great.